The future for English table tennis is assured after Sport England committed to an £11 million investment over the next four years. This represents an increase of nearly 20% over the previous investment cycle and demonstrates Sport England’s confidence in our sport – now played regularly by almost 100,000 people, up 25% since 2009. Sport England’s core funding represents the ETTA’s single biggest income source. Every four years, the ETTA, and the governing bodies of 46 funded sports, are required to submit their Whole Sport Plans for the next 4-year investment cycle. Sport England’s announcement followed a robust process to assess the quality of the plans and their ability to deliver for community sport and talent development. Each sport is subject to tough performance management through a payment for results approach that will see Sport England rewarding success and penalising failure. We believe that the increased investment in table tennis reflects the potential that exists to continue the growth in participation that we have witnessed over the last three years. 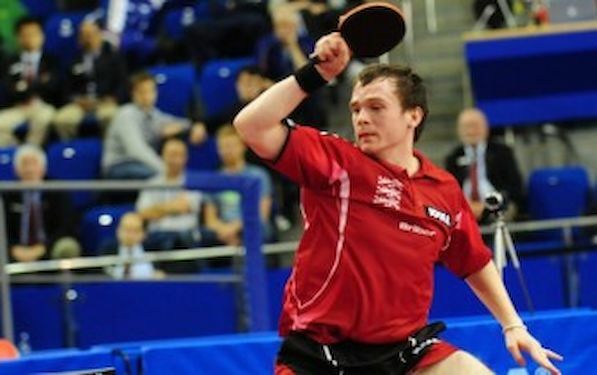 Although we are still awaiting the ‘fine detail’ of Sport England’s funding allocation, we understand that English table tennis will initially receive a one-year investment of £2.25 million to fund its participation, talent, infrastructure and operating costs which a direct investment of £250,000 into the highly successful Ping! project. We welcome the fact that Sport England has ring-fenced £8.5M for table tennis covering years two, three and four and we’re confident that we will achieve the goals set by Sport England which include participation targets and delivery plans to ensure this investment is made through the ETTA. Sport England’s announcement, made during the final days of 2012 – our country’s most memorable and successful sporting year – demonstrates their commitment to grassroot sports and creating a sporting legacy beyond London 2012. Their increased investment in table tennis shows Sport England’s support for the ETTA’s progress, the challenge we now face is how to capture far more social/recreational players into more regular participation. Our sport has a major role to play in Sport England’s strategy which focuses on encouraging young people to adopt a sporting habit for life, providing an excellent sporting experience, talent development and increased participation by adults and people with disabilities. As we enter the early months of 2013, we shall be working with Sport England – in conjunction with the ETTA’s Board, volunteers and senior staff – to update our plans, structures, budgets and resources to meet their requirements and the needs of our sport. As they are finalised, we shall be communicating these plans with our members, our league and county representatives and our partners.